ARCH INFO - FAQ, classification, formation, etc. 30th Anniversary issue of our quarterly newsletter, SPAN, printed in full color. 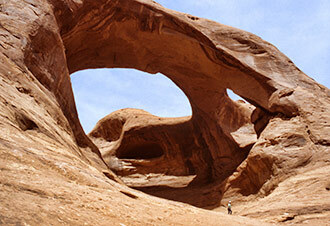 Featured in “The Arch Hunters” – National Geographic Adventure Magazine cover story, March, 2008. Bridge Society. All rights reserved.